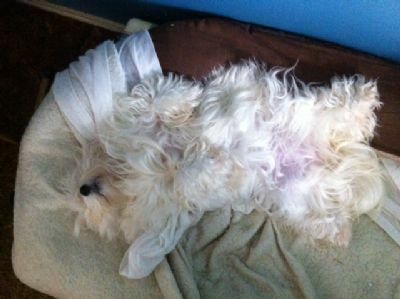 Fame is daughter to our lovely Lace and is a very precious family member here at Kerris Havanese. She is a bundle of energy, is smart, happy and usually a good girl. At times I can see her Mother in her antics and if she has Lace's pizazz in the Show Ring she will be a delight to Show. She lives with 2 German Shepherd Dogs and runs them ragged. 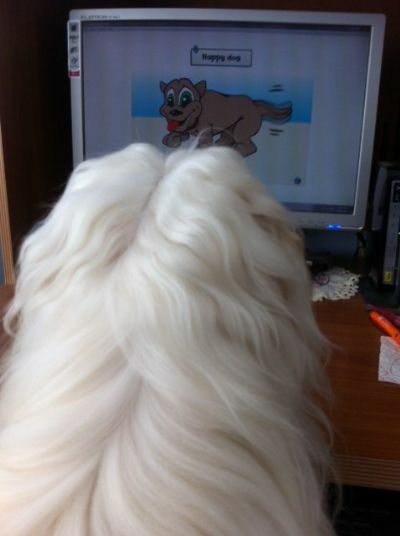 Fame is also undergoing Obedience Training and is doing very well. 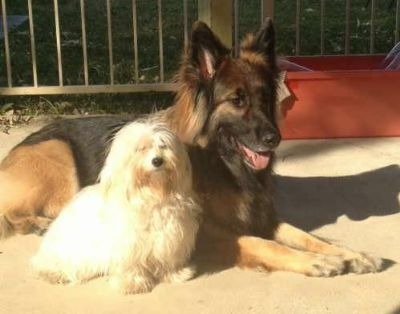 Fame's handler, Yvonne has had to get used to a much smaller dog on the end of the lead, being a Shepherd person, however has found it an interesting experience training a Havanese. Ch Kerris A Twist o Fame CCD. Her owner, Yvonne has done remarkable work with Fame and I thank her for her experience and ability to bring out the very best in this lovely girl. Fame is Kerris's first obedience titled Havanese. Fame is now a Working Girl, visiting school children to educate about the responsibilities of pet ownership. what she was supposed to do at work. Her first day at work was a huge success with her behaving like a true professional. Her Mum, Yvonne, told me Fame was a delight to work with and was wonderful with all the children. But it was hard work and when she got home she fell into an exhausted sleep. Fame has many more working days ahead of her and will love every one of them along with all the children she meets. 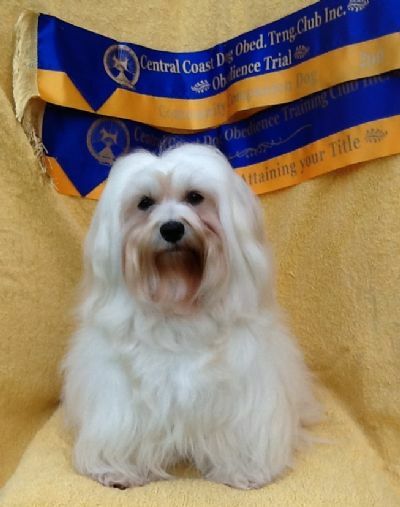 Fame is our first KERRIS Havanese Champion and is a delight to show and yes, she does have her mother's pizzazz! 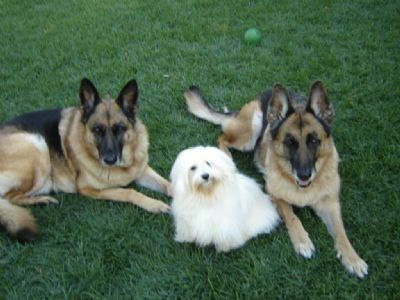 Fame with friend, Danni (left) and her canine family, Lexie and Taz.